Many of us have that voice in our head nagging us to exercise. The obesity rate among American adults hovers around 35 percent (obesity here defined as having a body mass index of 30 or higher). Being overweight is unhealthy, but it also costs the U.S. workforce quite a bit of cash — about $8 billion per year in lost productivity, in fact. Being fit is healthier for us and lets us work better, which leads to happier bosses and happier businesses. The challenge is finding the time to work out when you spend eight hours or more at work every day and then come home to another set of pressing responsibilities in your personal life. The good news is that there are ways to squeeze a workout into your busy day that you may not even expect. Remember those obesity numbers we discussed earlier? Turns out that Americans are among the least likely people in the world to walk or bike to work, and that coincides with the high percentage of Americans who are overweight or obese (a combined 67 percent). It might be more comfortable to drive to work every day, but if you live close enough to work (or like the challenge of a good cycling workout), you may want to consider a more active commute, weather permitting. 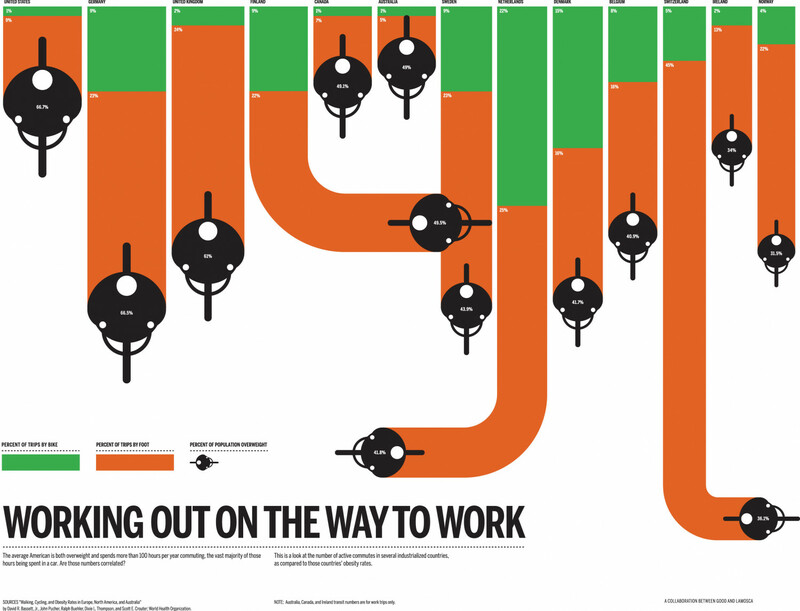 If you can’t afford to walk or bike to work, then maybe a faster exercise is in order. Not every workout routine requires a visit to the gym or an hour of your time. If you know where to look, you can put together a workout that fits into however much free time you have before you leave for work. For starters, here’s a quick workout that you can do without gym equipment. Once you’re at work, it can be difficult to find the time to exercise in peace — of course, yo first need to make sure your employer is okay with you taking time out of your workday to get fit. Working out tends to sit at the bottom of anyone’s priority list when we’re swamped with work. If you’re trying to develop a regular routine, breaking that routine in the first few days may be a sign of a failure. If you need motivation to work out, consider this: 60 percent of workers who spent 30-60 minutes of their workday doing exercises like yoga, aerobics, or playing basketball saw improvements in their time management, mental performance, and ability to meet deadlines! If you get a good workout in, you’ll be more productive! That’s a win-win for you and your employer. It doesn’t have to be a fancy routine like yoga, either; there are more than enough exercises you can do at work without changing clothes or finding a fitness ball. and healthy food and beverages options for cafeterias and vending machines. It can be difficult to work out once you get home to a whole new host of things that need to doing. The best way to work out after a day at the office is to avoid hit the gym before going home. Pack your gym clothes the night before, put your gym clothes on before leaving work, and use the buddy system to keep yourself accountable for your daily trip. If you still can’t find the time to exercise during the day, try working out at night. Working out an hour before bed means you’ll get a deeper, more comfortable rest at night, and you won’t have to worry about your workout intruding on the rest of your day. Finding the time to exercise during your workday is as much about motivation as it is about finding the right time. With enough motivation, you can squeeze in a workout just about anywhere.